Everyone eats pizza in bed, but do they eat pizza in bed efficiently? 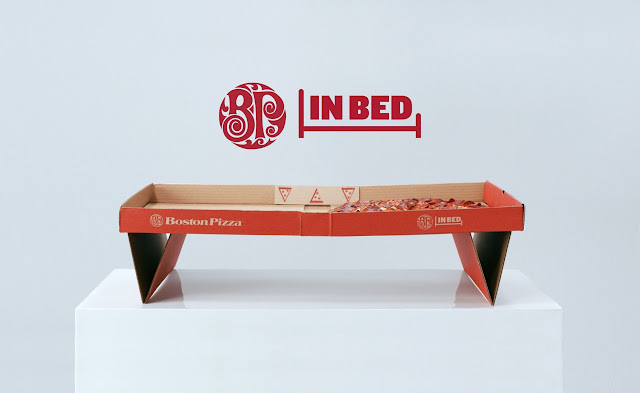 That was the question that Boston Pizza had when they set out to make a pizza box specifically engineered for that very purpose. Now I won't have stains on my sheets I have to explain to guests. Dubbed as "the world's first pizza box designed for eating in bed," it's exactly what it sounds like and more. These limited-edition boxes transform before your very eyes and will take your pizza-in-the-sheets experience to new heights. BP is changing the world, one pizza box at a time.